Fever is an important part of the body's defense against infection. 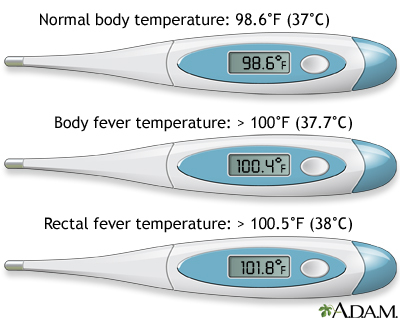 Most bacteria and viruses that cause infections in humans thrive best at 98.6 degrees F (37 degrees C). Raising the body temperature a few degrees can help the body fight the infection. In addition, a fever activates the body's immune system to make more white blood cells, antibodies, and other infection-fighting agents.